Για εκείνους που θέλουν να απολαύσουν τα αξιοθέατα και τους ήχους της πόλης Μπαλί, το Amelle Villas είναι η ιδανική επιλογή. Σε απόσταση μόλις 12 km από το κέντρο της πόλης και 17 km από το αεροδρόμιο, αυτό το 4 αστέρων ξενοδοχείο προσελκύει αρκετούς ταξιδιώτες κάθε χρόνο. Με την βολική του τοποθεσία, το ξενοδοχείο προσφέρει εύκολη πρόσβαση στους προορισμούς της πόλης που πρέπει οπωσδήποτε να δείτε. Το Amelle Villas προσφέρει άψογη εξυπηρέτηση και όλες τις βασικές ανέσεις στους ενθουσιώδεις ταξιδιώτες. Τα δωρεάν WiFi σε όλα τα δωμάτια, ημερήσιος καθαρισμός, 24ωρη ρεσεψιόν, ασύρματη σύνδεση Wi-Fi σε δημόσιους χώρους, χώρος στάθμευσης οχημάτων είναι μόνο λίγες από τις εγκαταστάσεις που κάνουν το Amelle Villas να ξεχωρίζει από τα άλλα ξενοδοχεία στην πόλη. Οι πελάτες μπορούν να επιλέξουν από 28 δωμάτια καθώς όλα διαθέτουν μια ατμόσφαιρα απόλυτης αρμονίας και γαλήνης. Είτε είσαστε λάτρης της γυμναστικής είτε ψάχνετε έναν τρόπο να ηρεμήσετε μετά από μια δύσκολη μέρα, θα σας ψυχαγωγήσουν καταπληκτικές δραστηριότητες όπως οι εξωτερική πισίνα. Το Amelle Villas είναι ένας ιδανικός τόπος για να μείνετε αν ψάχνετε για γοητεία, άνεση και ευκολία στη Μπαλί. Great location if you rent a scooter, then it is only 5 min to the beach and very nearby to the other places of interests in Canggu and Seminyak. I have previously stayed at Amelle with no problems however after this stay I would not stay at amelle again. Money was stolen from the safe and I had to get the police involved. We had to ask for our rooms to be cleaned and even when they were cleaned we were not given fresh towels. They took the towels to wash them and Then we were told there were no fresh towels available we had to wait for ours to be washed and dried. Overall just not a pleasant experience and I would not stay again. 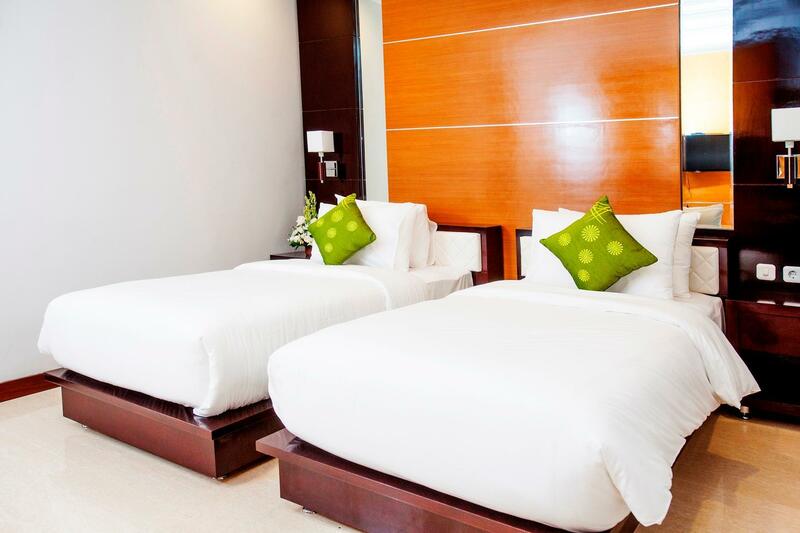 We booking always there business trip Daily first time exclusive very good 2 rooms 1.2 juta. 1 months later have discount same booking different smaller rooms still ok Last nokking more cheaper. Get horrible rooms wall smell roma wet. 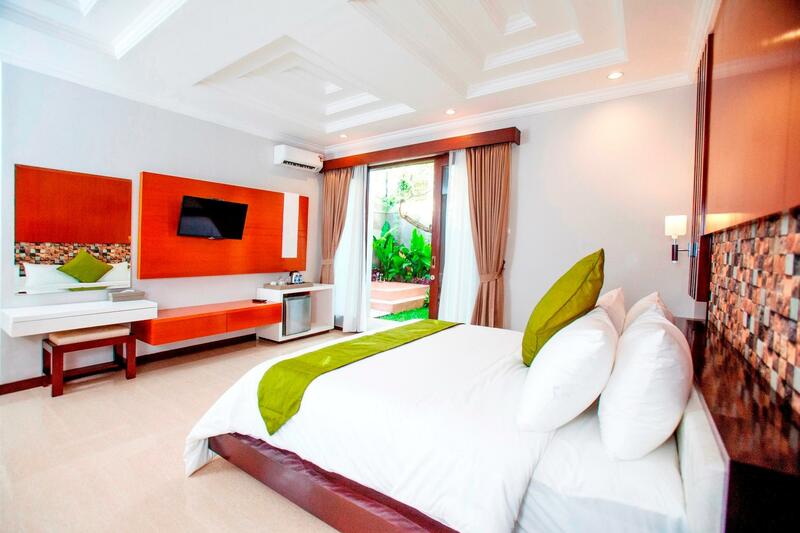 Directly chance the room to villa and pay extra charge 1 juta. We will not book there anymore. We booked the Executive Suite, which shows an outdoor bathtub on the picture. The room we got assigned didn't have this however, and we got told the room from the picture was booked already. There was also a fresh mud stain on the bedding. Would not stay here again. 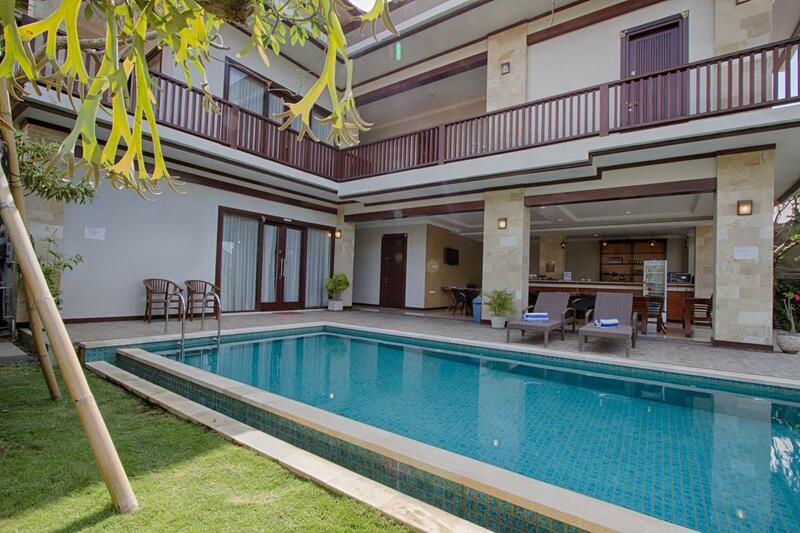 the villa was so good and the space for the bedrooms so big i like it. but for the parkir area is too small for some cars or motorcycle but over all is fantastic. thank you. Worst place I've stayed in Bali and purely because of the staff. High price for nothing included. If you ask to see a breakfast menu they will give looks and say forcefully that it's not included. I only wanted to see a menu. The staff takes nothing seriously treats everything as a joke. My booking said free bottled water is included and the manager tried to make me pay for it. The receptionist lady that works the desk in the daytime is the worst and most rude employee there. The night crew isn't as bad but they still take not an ounce of their job seriously. I hope the owner of this property knows what their staff is doing because I will never stay here again and it's PURELY because of the staff. 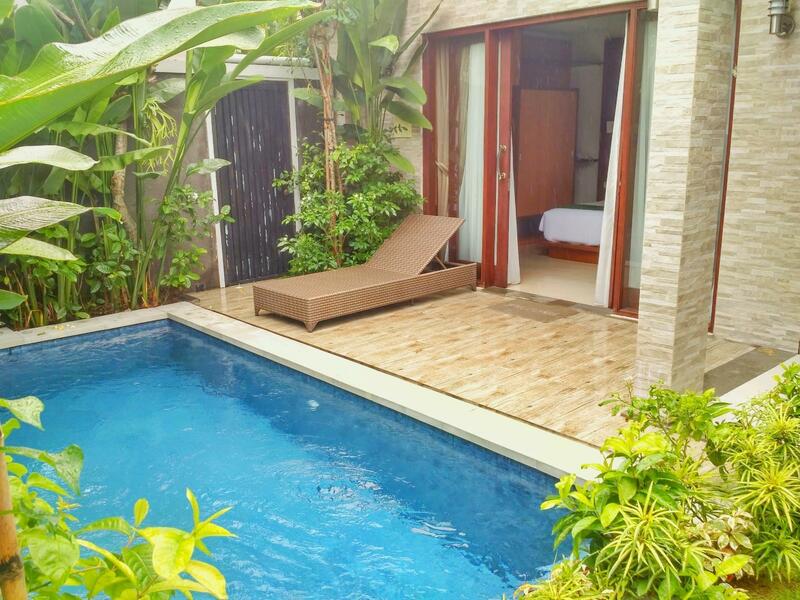 Room is nice with clean private pool, there is no restaurant. Breakfast tables is besides reception area, very basic , 2 toast 2 eggs and 2 sausages and fruits . 5 mins to closest Restaurant and beaches is 10 mins away, both by car. Parking lot fits about 5 cars. Staffs are friendly, but not well trained. No windows in the room even though I booked a suite! I asked to change and had to discuss and insist for 30 min for it to happen. Then they billed my laundry per ITEM, not per kilo, even though it was a regular laundry, not dry cleaning. They told me it's the way they do here. That laundry was ridiculously expensive. We got a room that had no windows... the a/c worked amazingly well. You must rent a scooter, they offer them at reception. Breakfast is good and staff very nice. They brought us to our next hotel in Canggu complimentary!! 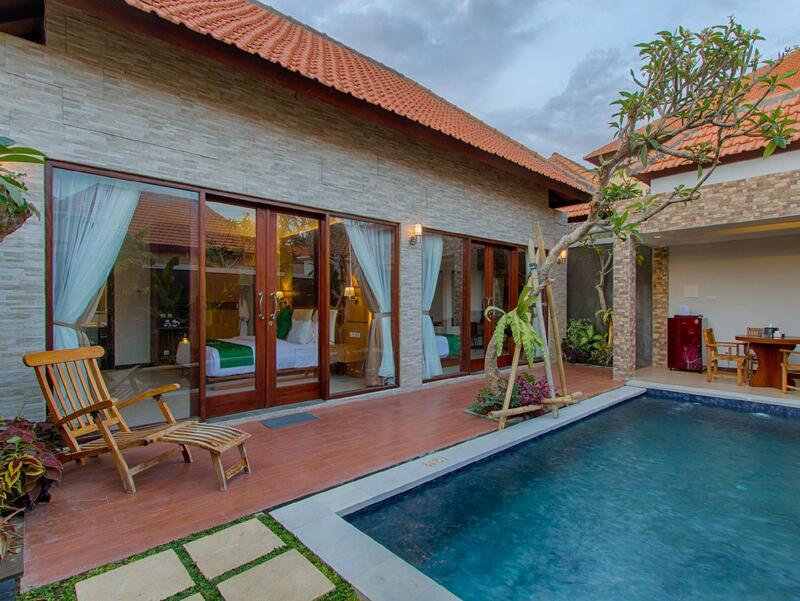 Amelle Villas are nicely situated towards the top of Jalan Batu Bolong, one of the main streets in Canggu, close to the corner of Jalan Raya Canggu. What I favoured most about this place was the location, being close to local restaurants and reasonably priced massage spas. It is not close to the beach, which is either a 20-25 minute walk or a short scooter / taxi ride away. Given that the beach at the end of the road is mainly a surfing beach, this was not a big deal for me. I had a slight issue when I arrived in that I had seen pictures of the Residence room on Amelle Villas website, and the wrong photo was actually on the website. 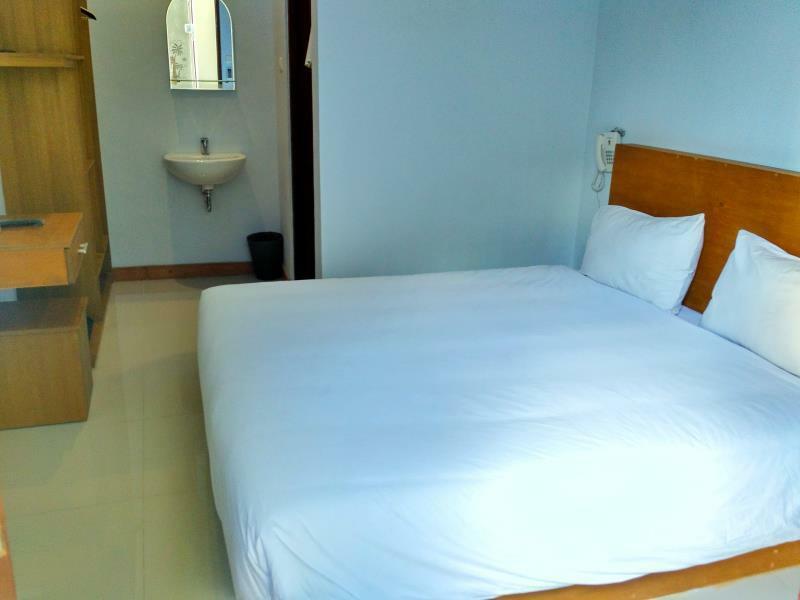 The pictures of the Residence room on Agoda are more accurate though, and you should note that those rooms are on the small side, especially for two people. I felt a little mislead and when I decided to upgrade to a larger room, I ended up having to pay a little more than I would have if I had booked that room on Agoda, which I was a little miffed by. Having said that, the Executive rooms are NICE! The staff are friendly and accommodating and for the few requests I had during my stay, they were always available to take care of them. Overall, I liked staying there but would not go back and decided to cancel a longer reservation I had. This is due to a combination of feeling mislead and it also not quite meeting my needs as a place where I can work as well as relax. Thank you to the staff and management for taking good care of my during my stay. Nice place. Cheapest rooms may have no windows and no bathroom+toilet door. Everything else is good. There's also a small dog, that lives in the neighborhood. Some time it may start barking for hours non stop. For me it was not that annoying. You can pet him. The staff is great and helpful. Bike rent at hotel is much more expensive than just outside in the street. Location in nice. It on the "main" changgu street, but not in the busiest part of it. Beach is in 5 minutes on the motor, supermaket — 2 minutes walking. Except for the improper installation of the bidet and tissue holder in the bathroom ( reason why it keeps falling/ broken), overall, the place is really clean , spacious and nice to stay . I just wish management will see to it that the good maintenence of its ammenities will be consistently efficient , to avoid quick depreciation. We'll stay here again, if we'll have the chance to come back.